When is it Time to Replace Your Outdoor Patio Furniture? As the warmer seasons come to an end, and time spent out on the patio starts to slowly decrease as the weather gets colder, most people begin to think about how to preserve their outdoor furniture for the coming months. For the most part, best practice would be to properly protect and store your patio furniture before the winter weather causes more damage, especially if you’ve just invested in a fairly new patio set. However, patio furniture eventually gets to the point where it’s beyond repair and it may be time to invest in some new pieces. But when is it time to replace your outdoor patio furniture? Quality patio furniture is an investment that can last for years, especially with on-going furniture maintenance. Minor stains on cushions, or initial appearances of rust can be taken care of with proper care. While there are ways to repair outdoor furniture, now may be a great time to assess just how well your patio furniture is holding up. Different materials require different care and maintenance, and some materials are also more durable than others. Materials such as wicker, aluminum, and plastic typically last much longer with little maintenance compared to other types of furniture materials. Wrought iron, resin, and wood materials tend to need more attention and care throughout their lifetime, and may need to be replaced sooner if they aren’t correctly maintained. Iron will rust and deteriorate fairly quick if it is not cleaned and painted over properly. Resin wicker usually lasts a long time, but should be protected from the elements (sun, rain, snow) as direct exposure will ruin the quality of the piece. Like resin, wood furniture should be protected from the sun as much as possible, and should also be polished and sanded down every year to increase longevity. There is no set time limit as to when patio furniture “expires” and must be replaced, but you should be able to notice some obvious signs that your patio sets are in need of an upgrade. Does your patio furniture have more than a few tears and breaks in the weave? Are your outdoor furniture sets looking far more rusty than usual? Perhaps your furniture cushions are torn with permanent stains? Do your chairs make noise or wobble when you sit in them? If any of these things are happening with and of your pieces, it may be time to replace your outdoor furniture. The months right before and after summer – May and September – would be the best times to purchase new patio furniture. End of season sales typically take place towards the end of these months, especially in September after Labor Day, or just before Memorial Day in May. Patio furniture prices may start to dip as the autumn season goes on as well. If your patio furniture is due for an upgrade, Starsong has some great, quality selections for your outdoor living space. Whether you’re looking for a brand new multiple piece seating set, outdoor sofa, or patio dining set, each of Starsong’s affordable luxury collections has something special for your home. 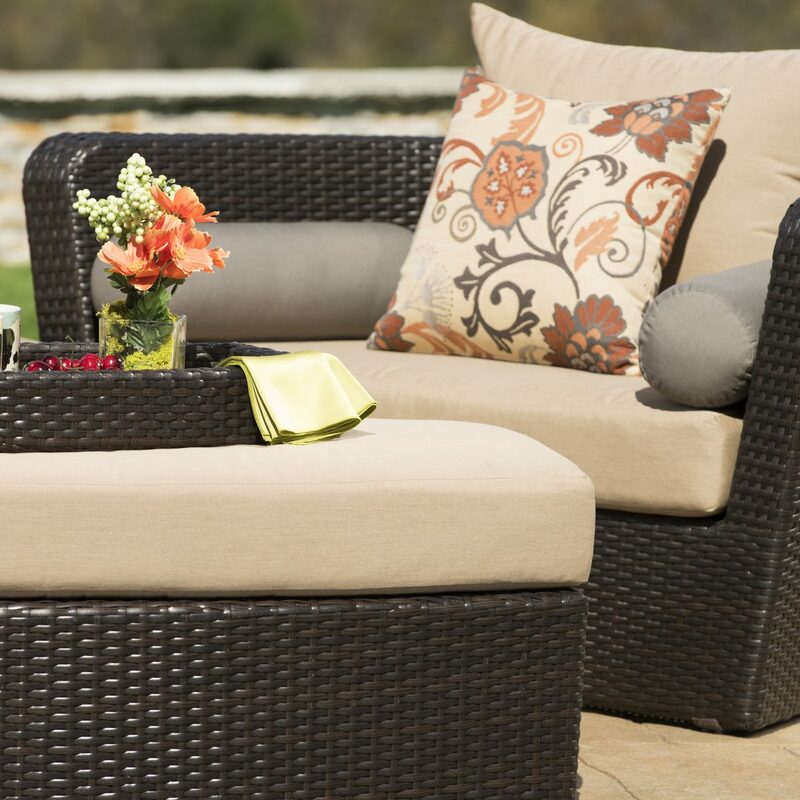 Shop our site or visit Sirio’s Costco brandstore to find new, stylish, and durable patio furniture pieces to dress up any outdoor living area. If you’re in need of some guidance, check out our patio furniture buying guide for some helpful ideas.